Septic tank emptying should be done once a year. That’s because we fill them up faster with water, chemicals and detergents from our washing machines, dishwashers and baths. This stops the bacteria that digest sewage from doing their job, so solids build up more quickly in septic tanks and treatment plants. If left uncleared, this can lead to unseen damage that may be difficult, if not impossible, to put right. When solid waste clogs pipework foul liquid is forced upwards creating pools of discoloured water on the ground. To stop this happening, you should have your septic tank or treatment plant emptied once a year and no less than every two. If your water table is high, you may need to do this even more often. If you can’t remember the last time your septic tank or treatment plant was emptied, it almost certainly needs doing. Good to find a quality service on the doorstep. Thanks for not messing up my flowerbeds like the last company did when they cleared out my septic tank. And if you’ve recently bought a property with a septic tank or treatment plant, make emptying it a top priority, as you can never be sure when this was last done. We can do any repairs that need doing. 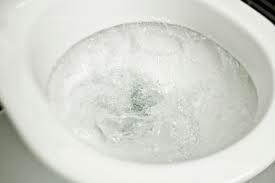 Toilets not flushing properly is a telltale sign that your septic tank or treatment plant may need emptying. Persistent bad smells. A temporary blockage or rush of water from a bath, washing machine or shower can cause bad smells. However, if these hang around for any length of time, your tank or treatment plant probably needs emptying. Blocked or slow moving drains that don’t respond to a chemical cleaner. Toilets not flushing properly. If the water regularly backs up when you flush, there’s probably a problem. Discoloured water pooling on the ground. When solid waste clogs your system’s pipework, foul liquid gets forced to the surface and stays there. 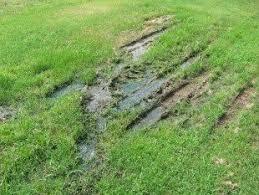 Lush grass in and around your septic tank could mean waste isn’t draining away effectively. Call us on 01432 353888 if you have any of these issues. You can usually avoid problems like the ones above by having your septic tank or treatment plant regularly inspected by our experienced engineers. We can also carry out repairs as required, or even install a new septic tank if necessary. At some point, you may need to replace your septic tank. When you do, we can either install a new one or fit a modern treatment plant instead that produces much cleaner water. This may be your best option, particularly with new Environment Agency regulations governing the disposal of liquid waste and sewage. Remember, you must have your septic tank emptied by a registered waste carrier like Aquassist otherwise you cannot be sure the waste is being properly disposed of or treated. To get your septic tank and treatment plant emptied and cleaned, or to find out about installing a new one, call us on 01432 353888 or email book@aquassist.co.uk.